Will A Locksmith Damage My Locking Mechanism? At Action Lock Service, we’ve met many clients who are concerned that bypassing a lock to gain entry to their car or property could end up damaging the lock. They understand that picking a lock is a complex task and aren’t sure if they’ll have to purchase a new lock afterwards. 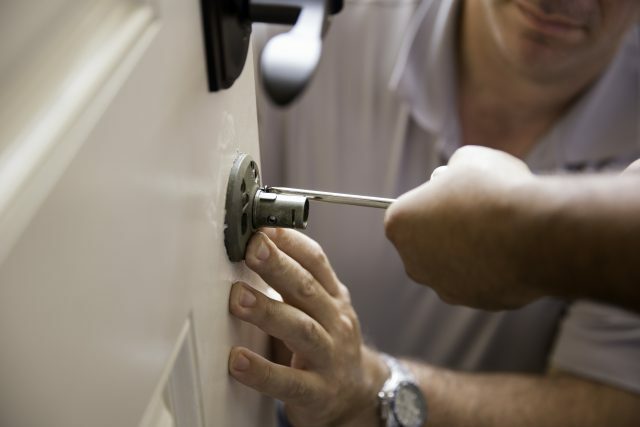 The short answer is: When you hire an emergency locksmith in Perth from Action Lock Service, you don’t have to worry about them destroying your lock in the course of their work. But in this post, we’re going to take a closer look at some of the potential problems that could develop if a non-professional were to attempt the task. What Can Go Wrong If a Lock Is Picked by a Non-Professional? When you call out a locksmith to your home or business, there are a few different strategies they may employ to gain entry to your property. They may use a professional kit to pick the lock, or in some cases use a bump key. In either event, a qualified emergency locksmith in Perth should be able to open your lock without doing any damage to its internal locking mechanism. But this doesn’t mean that damage will never occur when you attempt to pick a lock. On the contrary, someone without the skills or experience of a professional locksmith could easily harm the lock’s contents. For example, in pin tumbler locks, it is possible to pop the spring caps off and possibly damage them. It is also possible for cylinder springs to get caught in the plug chamber – especially when the driver pins are too short. There are other issues to keep in mind as well. When it turns inside a cylinder, the key itself physically stops the pins from dropping down into the keyway. Were they to find their way into this channel, turning the cylinder could end up snapping or bending them. This is a concern when you are picking a lock, as there is nothing but the locksmith’s deft hand to prevent those pins from doing just that. It is worth noting that there are some instances in which opening a lock requires damaging it. Situations like this are relatively rare, and the competent locksmiths from Action Lock Service do everything in their power to avoid them. However, it is sometimes unavoidable. In the event that they are required to drill into the lock in order to open it, they will clear this with you first and offer follow-up replacement services. By the time the procedure is complete, you will have gained access to your property and have an entirely new lock in place to continue protecting your property. Where Can I Find a Professional Locksmith Near Me? If you are looking for an emergency locksmith in the Perth metropolitan area, Action Lock Service is the team to turn to. We can dispatch a highly skilled locksmith directly to your vehicle or property to ensure that you can regain entry without doing any unnecessary damage to the locking mechanism. If you would like to learn more about the care we take when opening locks, please don’t hesitate to get in touch with our team via the ‘Contact Us’ page. When Should I Call A Mobile Locksmith? Can A Locksmith Work On Any Type Of Lock? What Are The Most Common Reasons to Call a Mobile Locksmith?